Extraordinary levels of individual freedom, social security, public trust, work-life balance, health, and general well-being are the breeding grounds for the thriving societies of the North. The Northern art of life has become a role model for a meaningful work-life balance. Entrepreneurs, designers, and artists are the central figures who influence every- thing from crime fiction to interior design and furniture, to outdoors activities and attitudes toward nature, to craft beer and fashion. Nordic countries have almost closed the gender gap to achieve equal numbers of men and women in education and the economy. Living in the Nordic countries guarantees a good life, way beyond the concepts of lagom and hygge. 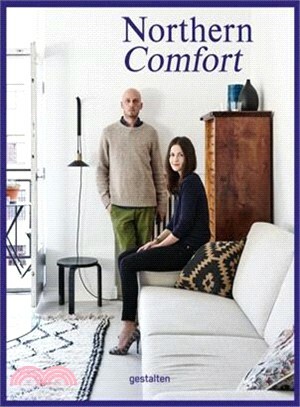 Nothern Comfort shows where this way of life comes from, profiling interior designers, photographers, and experts to give compelling insights into the "happiest people in the world."